SAULT STE. MARIE, Mich. — Coast Guard crews are continuing to respond Monday to a tug that sank in the upper St. Marys River and has been located near lighted buoy 35. At 3:30 a.m., a search-and-rescue controller at Coast Guard Sector Sault Ste. Marie, Mich., was contacted by the crew of the tug Bill Maier, which was towing three barges and the tug Hammond Bay when the crew lost sight of the Hammond Bay. After securing the barges, the Bill Maier’s crew attempted to locate the lost tug. They reported finding an oil sheen and a life ring from the lost tug, which led them to believe that the tug had sunk. There was no one aboard the tug Hammond Bay at the time it became lost. 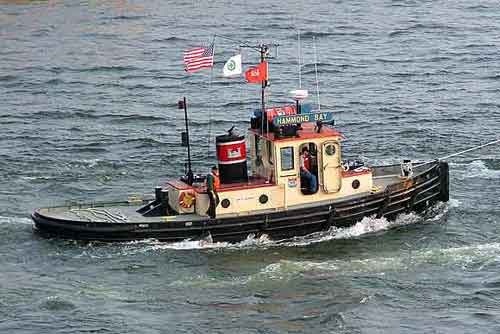 The tugs Bill Maier and Hammond Bay are owned and operated by the U.S. Army Corps of Engineers. The Coast Guard responded to the incident with a boatcrews and a pollution responder aboard a 25-foot Response Boat-Small, and a 26-foot Trailerable Aids to Navigation Team Boat from Coast Guard Station Sault Ste. Marie, and an aircrew aboard an MH-65C Dolphin helicopter from Coast Guard Air Station Traverse City, Mich., which is conducting aerial assessments. No pollution was observed by the Coast Guard helocopter crew. The Coast Guard is continually monitoring the situation for any changes. The Army Corps reports that the Hammond Bay has 200 gallons of diesel fuel and 15 gallons of oil aboard. 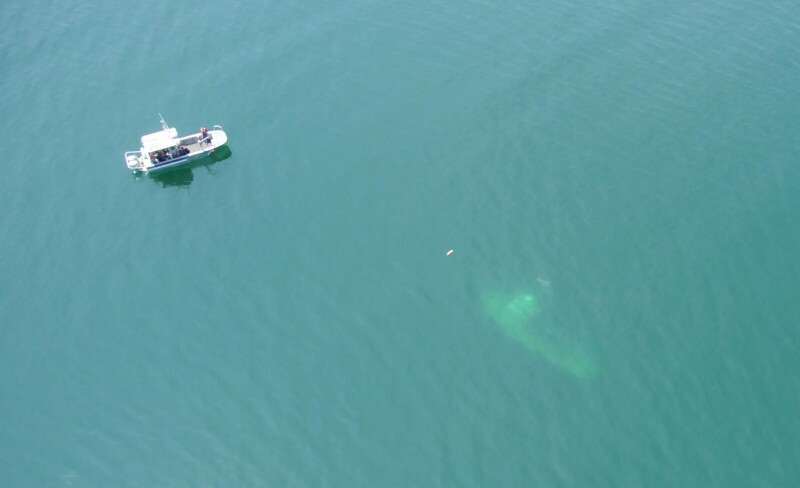 The Coast Guard is working with the Army Corps and other partners to minimize any environmental damage and impact to waterways that the sunken tug may present. They are also working on a way to remove the tug. For more information, contact Lt. j.g. Derek Puzzuoli, Coast Guard Sector Sault Ste. Marie public affairs officer, at 906-635-3324.